There’s no shortage of great baby wear available for parents to choose from, whatever your style and budget, but it’s always great to see a new brand launch with a cute collection for the mini ones. No matter what colours and designs you favour, the key to clothing and accessories for babies is soft, comfortable fabrics against their delicate skin. 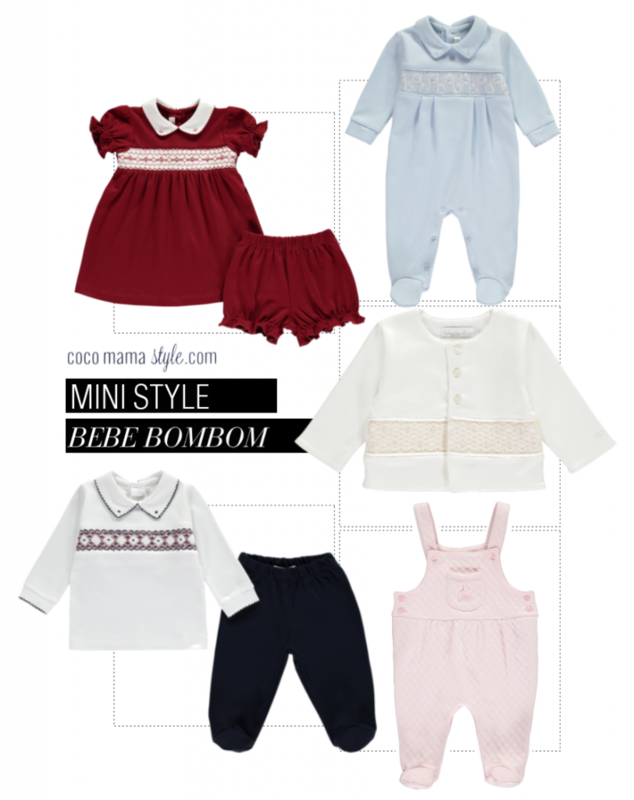 Say hello to Bebe Bombom, a new baby wear brand with handmade sustainable luxury at the heart of the collections. Gathering an ever increasing celeb mum fan base, the brand’s baby clothing is made from the softest Peruvian Pima Cotton fabrics in classic designs and produced by means of sustainable practices and eco-friendly initiatives. Peru is renowned for its high quality textiles and artisan-made products and it’s the hand-smocked details across the Bebe Bombom collection stand out as their trademark finish. Choose from luxurious gift sets, clothing and accessories in classic designs for newborns, baby girls and boys aged 0 to 24 months. View the full collection and shop online at bebebombom.com. If you’re in London and want to take a look in store, Bebe Bombom is available at The Nursery Window on Walton Street, Chelsea, Piccoli & Co. on Abbeville Road, Clapham and Kids Emporium, Chelsea.